In the tradition of Ira Levin's A Kiss Before Dying and Donna Tartt's The Secret History comes a suspenseful thriller from the international bestselling author of The Bronze Horseman—an utterly captivating story about four Ivy League students whose bizarre friendship leads to a twisted maze of secrets, lies, betrayal, and murder. As the star player of Dartmouth College's women's basketball team, Kristina Kim is beautiful, intelligent, and fearless. 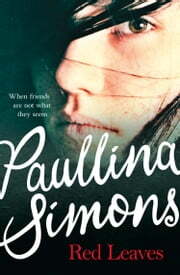 But though she's just 21, Kristina has already had her share of heartache, loss, and dark secrets that haunt her. She's best friends with Conni, Albert, and Jim, but the only one who seems to really know her is Albert. With long dark hair, tattoos, and a rebellious streak, Albert doesn't fit in with the rest of the clean-cut Ivy Leaguers. Like Kristina, he has his share of secrets—secrets that are beginning to unravel this intimate circle of friends. When Detective Spencer O'Malley goes to investigate something suspicious at the foot of a steep hill on Dartmouth's campus, he doesn't expect that the frozen, naked body found in deep snow would belong to Kristina Kim—the remarkable young woman he met recently who entranced him. Now Spencer will never know if the chemistry he had with her was real. All he can do is find her killer. Spencer is pulled into the strange, complex web of the surviving friends. Many important questions about Kristina's murder cannot be answered, such as: why did none of them report her missing for nine days before her body was discovered? The more Spencer digs, the more clear it becomes that each of the three has a motive for killing Kristina. And as Spencer, seeking justice for a dead girl, is led down a labyrinth of deceit, every new revelation proves more shocking than the last….and more dangerous. "Simons handles her characters and setting with a certain skill, creating mystery from the ordinary, protected lives of these Ivy League kids, slowly peeling away their deceptions to reveal denial, cowardice, and chilling indifference…an engrossing story. "—Publishers Weekly. Kristina Kim seems to have it all, great looks, amazing athletic talent, good grades, and wonderful friends. Kristina is considered beautiful, inside and out, by most people, but she has her fair share of flaws and quirks. She is a truly talented basketball player and has been an Ivy league favorite for several years. She studies hard and does reasonably well with her classes and gets good grades. True, she has some good friends and friendly acquaintances but there are facets of her life that they know nothing about, just as she doesn't know everything about their lives. Over the course of just a few days, Kristina goes from being a vibrant young lady to a corpse hidden in the snow, all but forgotten by her so-called friends. What deep dark secrets could Kristina have had that led to her death? Why weren't her friends concerned about her absence? What secrets are these so-called friends hiding from one another and the police? 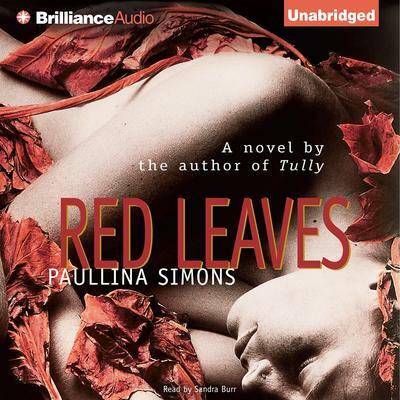 First, I've got to say that this isn't the first time I've read Red Leaves by Paullina Simons. I had the pleasure of reading this story many years ago and consider myself fortunate to get the chance to reread it. On the surface, this seems to be a story about the death of a young college student. But if you dig under the surface, you'll find that this is a story about so much more. Kristina has a love-hate/passive-aggressive relationship with her so-called friends: her former boyfriend Jim Shaw, her former roommate Conni Tobias, and Conni's boyfriend and Jim's former roommate Albert Maplethorpe. Conni and Jim had initially dated one another, before breaking up and becoming involved with Albert and Kristina. The friendship between these four appears to have been heartfelt and wholesome but was anything but that. It is for this reason that Detective Spencer O'Malley comes to realize that their reaction to the death, later revealed to be a murder, seems beyond suspicious. Just as the police had to dig under the snow to reveal Kristina's body, Detective O'Malley digs into the relationships between Kristina's friends to try and find the truth. I could tell you more, but if you enjoy stories about deeply flawed relationships then I'll simply say read Red Leaves. Ms. Simons has crafted a story with characters that are impossible to like, a death that is tragic, the superficialities of friendship, dysfunctional family relationships, and a mystery that drives one person close to madness (no, I won't tell you who). 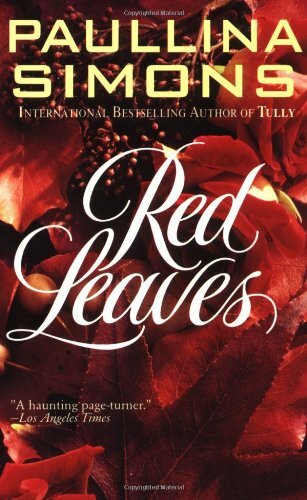 I enjoyed reading Red Leaves the first time around and enjoyed it just as much the second time. 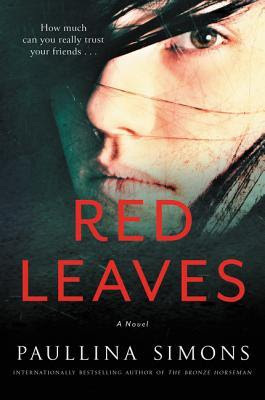 If you're looking for something a little dark, twisted, and mysterious, then Red Leaves is the perfect book for you. Go, read, enjoy! Disclaimer: I received a free print review copy of this book from the publisher via TLC Book Tours for review purposes. I was not paid, required, or otherwise obligated to write a positive review. The opinions I have expressed are my own. I am disclosing this in accordance with the Federal Trade Commission's 16 CFR, Part 255: "Guides Concerning the Use of Endorsements and Testimonials in Advertising." Read an excerpt from Red Leaves here. This review and tour brought to you by TLC Book Tours. It is fun to reread a story you read years ago but even more so when that story clearly stands the test of time! I always wonder what I'll think of a book, especially a book I really liked, if I read it again years later. I think it speaks to the great story that you still liked it!